« Has anyone seen my baby? My husband has a work colleague who is Japanese. She recently brought Mr Squish some presents from her home country. Here they are! 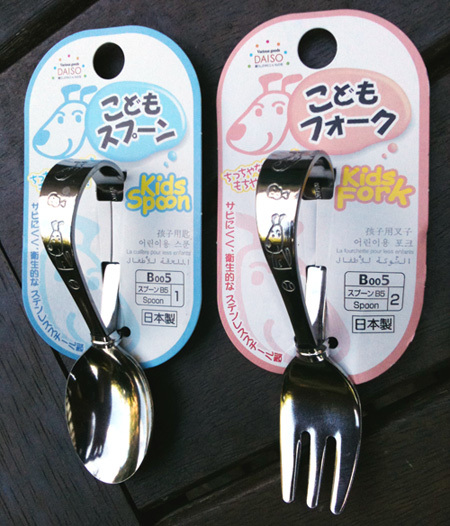 Check out the cutest spoon and fork set EVER. I simply love them. After I gushed over these incredibly thoughtful gifts, I turned them over to see if there was any attempts at English translation on the packaging. 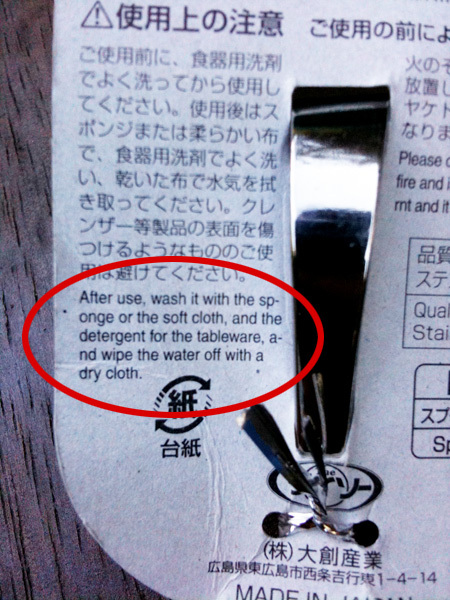 It’s very common with Japanese products and, when mangled, is often referred to as ‘Japlish’. I’m thrilled to say that there was! There was Japlish aplenty! That top bit is simply gorgeous. I’m on your side, Japanese translator. ‘Meal’ should be a verb. It totally should! However, I do not agree with the bottom instruction. 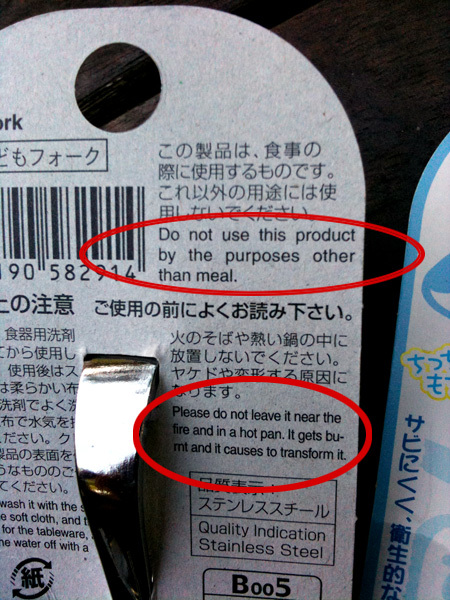 I’m sorry, Japanese packaging, but I ALWAYS leave my cutlery near the fire. I shall change this habit for no one! NO ONE! But I should really shut up, shouldn’t I. I can giggle now, but if someone asked me to translate something into Japanese – unassisted by technology – it would be a debacle. No matter what the Japanese was, I would be forced to use the only Japanese I know. I only know how to say hello… so you are beating me! I realised afterwards that I also know how to say ‘toilet’ in Japanese! However whenever I’ve said it in Tokyo, not a single person has understood what I’m saying. Not one. So, perhaps I don’t know the word for toilet after all. Um, forget I said anything. I am afraid I would have to leave them near the fire and in a hot pan to see what they transform into! You never know with these crazy Japanese inventions! That is a brilliant idea! I want mine to transform into some sushi. I’m hungry. At the moment, it features a meal of “English Chaps” as well as a keep off the grass sign advising that “I’m grass, I’m frail”. Bless. That is a fabulous site. My favourite is a sign that refers to nappies/diapers as ‘Paper Urine Trousers’. I would join you but that would involve getting off my couch. And it is FAR too hot for that silliness.